More than 145,000 in print! 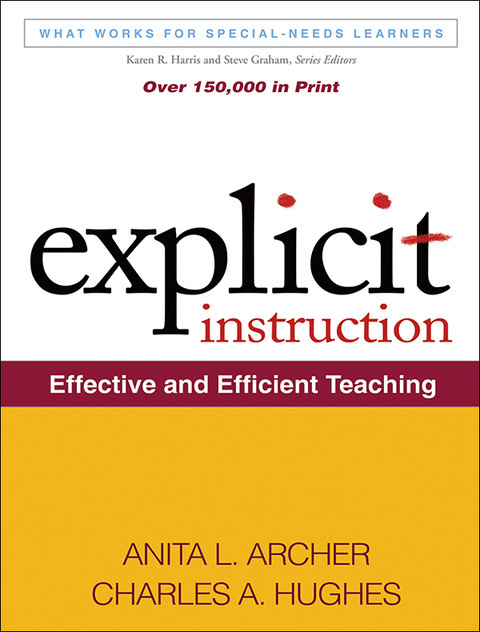 Explicit instruction is systematic, direct, engaging, and success oriented—and has been shown to promote achievement for all students. This highly practical and accessible resource gives special and general education teachers the tools to implement explicit instruction in any grade level or content area. The authors are leading experts who provide clear guidelines for identifying key concepts, skills, and routines to teach; designing and delivering effective lessons; and giving students opportunities to practice and master new material. Sample lesson plans, lively examples, and reproducible checklists and teacher worksheets enhance the utility of the volume. Purchasers can also download and print the reproducible materials for repeated use. Video clips demonstrating the approach in real classrooms are available at the authors' website: www.explicitinstruction.org.